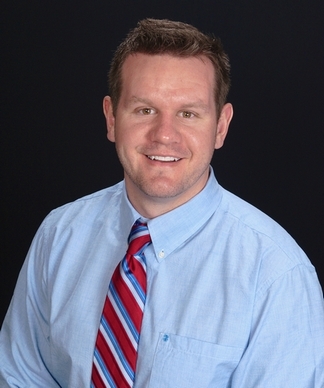 Dr. Brian Leary is a chiropractor dedicated to serving Clayton and the surrounding communities in NC . Dr. Leary is a proud graduate of Sherman College of Chiropractic in Spartanburg, SC. During his studies at Sherman College he spent many weekends attending seminars to further expand his knowledge, and he also served on a Chiropractic mission trip to the Dominican Republic. As a former college football player Dr. Leary is very familiar with being committed to hard work, and has had many leadership roles which have developed in him a true passion for helping people. His love for family, as well as serving people in need have enabled him to use Chiropractic as a means to really impact people’s lives. Having suffered some of his own injuries, Dr. Leary is fully aware of how largely pain can negatively effect someone. It is because of this understanding that he works diligently to help people stop suffering, but his efforts do not end there. How you feel is not always a direct reflection of how you are functioning, therefore Dr. Leary uses chiropractic care to improve the health and wellbeing of people so they can live an optimal life. He takes a “whole person” approach in chiropractic care, which means looking for the underlying causes of disease, discomfort, and pain, as opposed to just treating the symptoms. Many seemingly unrelated symptoms often arise from imbalances in the spinal column, and Dr. Leary will be able to determine the root of the problem and create a personalized chiropractic and wellness plan to suit each patient’s individual needs. Under the supervision and care of our skilled chiropractor, patients report higher functioning in all areas of their lives. If you have any questions about Dr. Brian Leary, or would like to learn more about chiropractic care at Connected Chiropractic, please call us at (919) 550-1099 today!